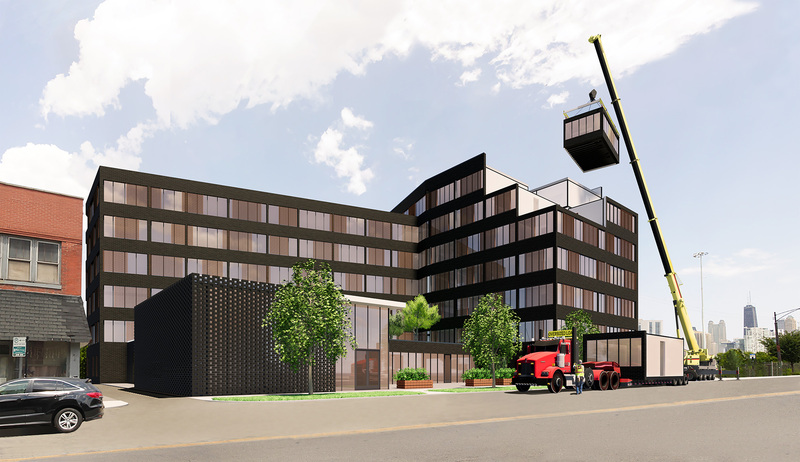 Skender, a Chicago contractor, is taking a big step into the modular construction business, leasing factory space on the Southwest Side where as many as 100 people will build apartments and hotel rooms to be snapped together on construction sites. Skender has hired a leader to run its new modular unit and is moving ahead with plans for the plant’s first big project: a six-story, 110-unit apartment building. The company will make its parts in the factory and assemble them on a West Loop site, a development Skender hopes will demonstrate the promise of modular construction. Skender is making a major commitment to its modular strategy, signing a lease this month for a 105,000-square-foot space in an industrial building at 3348 S. Pulaski Road in South Lawndale. Workers there will build entire apartments, hotel rooms—complete with plumbing, electrical, fixtures and finishes—or other modules that will be shipped to construction sites, lifted into place by a crane and connected Lego-style.